If anyone's interested, Evolve is on sale new at Gamestop for $10 and Project Cars is on sale new for $20. I picked up Evolve for PS4 while I was out and would have picked up Project Cars if it were in stock. Project Cars, especially, is worth noting for those of us who are going to get Playstation VR as it's been confirmed to support it. Isn't Evlove by the L4D people? The $10 version is bare bones and there is micro transactions no (or tons of content missing)? I seen an ultimate edition which has all the extras I believe. Project Cars will also be coming with a GOTY Edition maybe why these are on sale. I'd rather opt for the definitive versions if I were to grab them. TEKTORO wrote: Isn't Evlove by the L4D people? Yes. That's the only reason I have any interest in it. But I'll wait til it's in a Steam sale for like $5, and just buy a 4-pack for the Thurs Night crew. Yeah they had the PC physical version for $3-4 at game stop a month or two back so I picked it up. I think the main thing missing is a bunch of the hunters and monsters as well as a few maps maybe. Fragems wrote: Yeah they had the PC physical version for $3-4 at game stop a month or two back so I picked it up. I think the main thing missing is a bunch of the hunters and monsters as well as a few maps maybe. damn. If I had seen that I would have bought four of them. I seconded myself into checking out evolve, one thing that would have made me get up right now and buy it was if it had actuall split screen or at least system link. I've been searching and found no info on a patch adding these so I'll have to pass it up. Me and the wife need a new coop game so I might look into PVZ Garden Warfare 1 or 2 whichever is better? TEKTORO wrote: I seconded myself into checking out evolve, one thing that would have made me get up right now and buy it was if it had actuall split screen or at least system link. I've been searching and found no info on a patch adding these so I'll have to pass it up. Just throwing out a few suggestions if your into co-op shooters. There is the Army of Two series, Gears of War Series, RE 5 & 6(6 is getting a XB1/PS4 port in a few days), and the Saint's Row games especially the third are great for co-op. Also if you don't mind a kind of crap story Fuse and Inversion are both really cheap and have solid game play. Finally if you like hack and slash and lord of the rings War in the North is awesome went through that 2-3 times in a row with friends. I think all of those support split screen, but I'm not 100% sure. ill find something soon surely, mainly interested in PS4 games since its newer experiences. We've been playing Diablo, Ghost and Nitroblasterz the most lately but it's almost time for a new one. 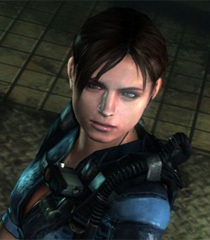 RE6 might be it! It's the base game without any DLC, but since I refuse to buy DLC for multiplayer games anyway, that suited me just fine (I mean, it technically has a single player, but it's not a story or anything, so I don't care much). I didn't know that Project Cars was getting a GOTY edition until after I got home from Gamestop, so I'm glad they didn't have any in stock. lol I mainly just want it to have another VR compatible game. Best Buy just price matched these so if you have GCU it knocks it down to $8 for Evolve (PS4/XB1/PC) and The Crew Wild Run Edition (XB1/PS4)- $16.